Infant jaundice is marked by a yellow discoloration in a newborn's skin and eyes. The occurrence of infant jaundice is higher in infants born prematurely, because the liver of a premature infant has not developed completely and is unable to properly release bilirubin, the yellow pigment in red blood cells. When too much bilirubin is built up it causes the skin and eyes to take on a yellowish tint. Infant jaundice typically will not cause serious problems. In some cases, infant jaundice is indicative of another underlying condition. In rare cases, infant jaundice can cause brain damage. 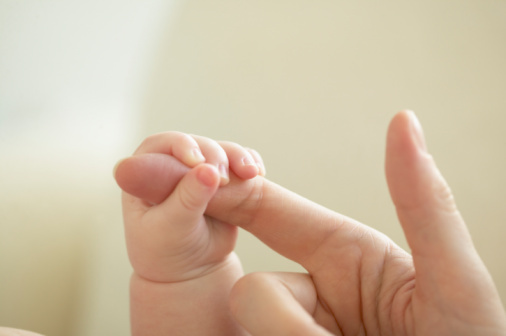 Premature birth is the number one risk factor for infant jaundice. Additionally, bruising caused in the birthing process, breast feeding problems, and an infant having a different blood type than its mother can contribute to the development of infant jaundice. Infant jaundice can be detected by gently pressing a finger on the infant's forehead or nose and noticing the skin color after pressing. If the skin color is yellow, it is likely the result of jaundice. Normally, the skin will only appear lighter. Light therapy (phototherapy). Use is made of special blue/green spectrum lighting, which will change the shape and structure of bilirubin molecules and help them pass more easily in urine and stool. Intravenous Immunoglobulin (IVIg). If infant jaundice is caused by the mother and infant having incompatible blood types, an IVIg may be used to reduce the level of antibodies in the infant's blood. Blood transfusion. If severe jaundice does not respond to other treatments, a blood transfusion may be used to remove and filter the blood of excess bilirubin or maternal antibodies. Once the blood has been cleaned, it is returned to the infant. It is important to speak with a doctor if your infant has symptoms of infant jaundice. Infant jaundice is very common. Roughly 60% of all infants and approximately 80% of premature infants will develop infant jaundice.